Ever wonder what your customers really think about you? Instead of guessing, it’s a good idea to ask. Getting customer feedback via surveys can give you deep insights about your business. While you may think you have excellent customer service, it’s a known fact that most businesses have an INFLATED misconception about their customer service performance when compared to what their customer’s think. According to 12 years of Service Delivery Gap Polls and surveys, 80% of companies reported that they deliver an above-average customer experience, but only 14% of the same companies think that their actual clients feel as though they got an above-average customer experience. In reality, only 11% of actual customers think they received an above-average experience. Customers compare the service they ‘experience’ with what they ‘expect’ and when it does not match the expectation, a gap arises. This is called the Gap Model. There are 5 types of gaps that this model defines as the factors that contribute to unsuccessful customer service. When the business does not actually know what the customers wants or needs. When the business understands what the customer wants, but doesn’t set a service/performance standard. When a member of the business does not deliver the expected service level of the customer. This could be due to poor training, inability, or unwillingness of your employee to meet your set service standard. When statements made by your employees and any of your ads do not meet the expectations of your customers after they have purchased from you. When your customer misinterprets the quality of your customer service. Source: Boundless. “The Gap Model.” Boundless Marketing. Boundless, 21 Jul. 2015. Now that we’ve gone over the different types of customer service gaps, we can focus on how to bridge those gaps. This requires talking to your customers to find out what they need and want from you. Using surveys, polls, and social media are great ways to get customer feedback to analyze. When it comes to what your customers think, closing the gap between perception and reality doesn’t have to be difficult. Sometimes all you have to do is ask. Surveys are a very effective way to get customer feedback because they can be anonymous. Use a free tool like Survey Monkey to craft your questions. Send it out in your next email newsletter or even create a popup on your website that links to your satisfaction survey. You can also mail the survey link directly via email after a project is completed or a transaction is made. In your survey, ask your customers about specific pain points and let them write-in responses to reveal issues you might not have thought of. You can allow customers to remain anonymous or give their names if they’d like you to respond to a specific concern. Use their as constructive criticism to close the perception gap. 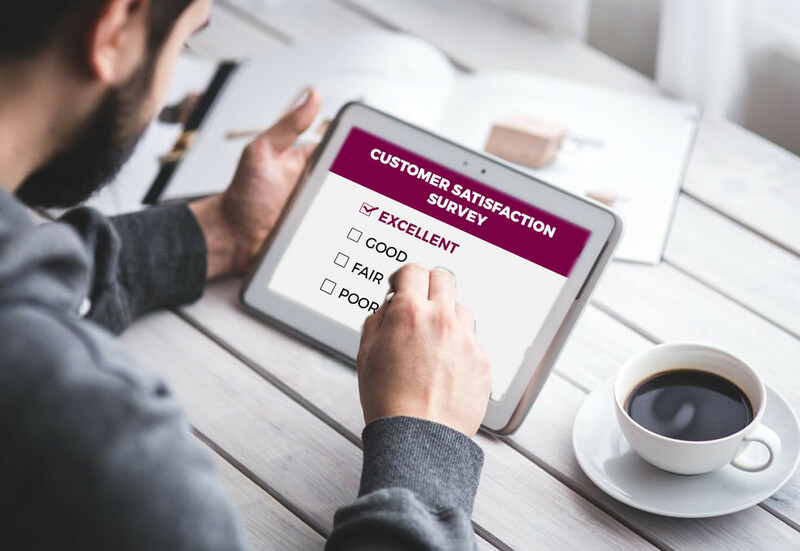 Survey Monkey provides some customer satisfaction survey templates that you can use to get started. You can also create polls on social media. By using polls you can find out relevant opinions pertaining to your brand, products or services and pique the interest of your followers and improve engagement. If you don’t want to make a formal survey or poll, you may want to turn to social media to get customer feedback. If you’re already on a social media channel, chances are your customers are too – and they’re talking about you. So, assign someone within your company to monitor and maintain these accounts. Start by asking questions of your followers, like “How often do you buy Product X?” or “What do you think about our logo?”. By asking questions, you’ll get an instant snapshot of what your customers think about a certain topic while adding some life to your social media. 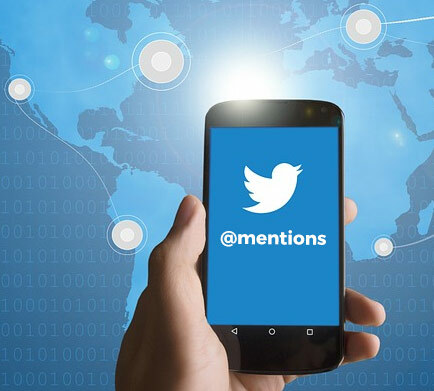 Twitter is a great option to get customer feedback because you can do a search of your business name or @mentions (by logging into Twitter.com and clicking the @mention tab beside your timeline tab) to find out what customers are saying about your company. You might be surprised what gaps in your service you can find. While monitoring your @mentions is important, there are some people who won’t use your Twitter handle to refer to your business. That’s why you should search keywords or key phrases that pertain to your business. Try searching product, brand, slogan, etc. This is a great way to find out what potential customers are saying about your industry, or to check on your competition and see how they are leveraging social media in their favor and possibly stealing your customers. This article covers how to find all of your replies, mentions, and more on Twitter. The overall goal of getting customer feedback is to close the gap between their perception of your company and your own perception of the business. Using surveys, website feedback forms, and social media are great ways to get real honest feedback to help you close that gap and improve your business. Want to craft a customer feedback campaign? Have questions? Let us help. I’d love to hear how you get customer feedback, or how you use that data to strengthen your business. Not very interested in doing it yourself? You are in luck. We are geeky web professionals and would LOVE to help you out. That’s great! You can fill out the Project Planner– this gives me ALL the info I need to help you. Or you can contact me at bullzeyedesign@gmail.com so we can talk about it.